Cathedral City Police are investigating a shooting incident, which happened at about 4:50 p.m. Sunday afternoon. 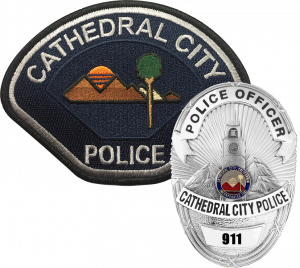 Police responded to a scene near Date Palm Drive and McCallum Way, regarding a disturbance between a male and female, reported at 4:42 p.m. A Cathedral City police officer arrived a short time after, at which point the officer saw a Hispanic male shoot a Hispanic female, killing her. The incident happened in front of the officer. The suspect immediately began shooting at the officer, striking the officer’s police vehicle several times. The officer then returned fire, striking the suspect. Cathedral City Fire Department paramedics were immediately dispatched to assist with emergency medical aid. The suspect was then transported to a local hospital where he died from his injuries. The female was reported deceased at the scene as a result of the injuries from the shooting. 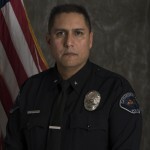 The Cathedral City officer involved suffered minor injuries. The incident is now being investigated by the Riverside County Sheriff’s Department and the Riverside County District Attorney’s Office. No other information is available for dissemination at this time.